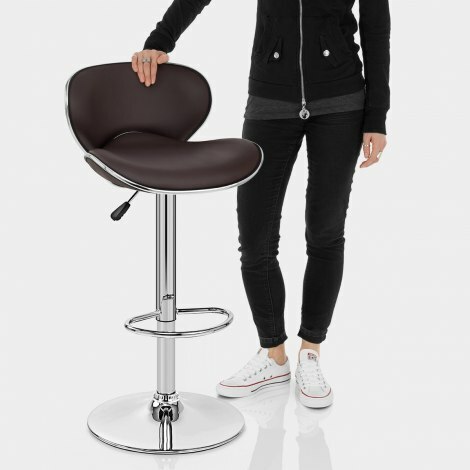 The striking Duo Bar Stool Brown uses the best of contemporary design to create a dynamic item of furniture, with a superbly contoured seat that is echoed in the backrest. An impressive piece that oozes style, the Duo brings luxury to the modern bar area. Covered in soft brown faux leather and sumptuously padded for extra comfort, the accommodating Duo is supportive to the back and thoroughly relaxing. 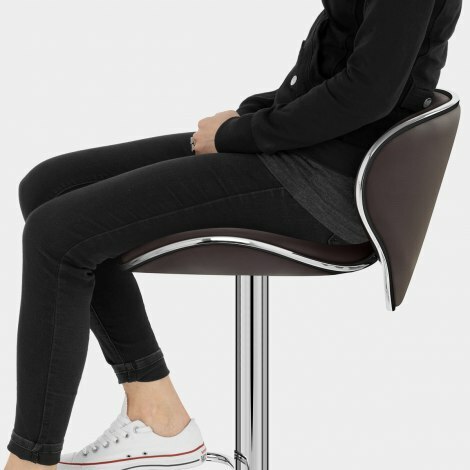 The eye-catching design has a chrome strip that runs along the edge of the seat to give it a more distinct profile and add to the visual acuity. The seat sits on top of a chromed stem, on which lies the hand crafted footrest. Inside this are the variable height gas lift and the 360 degree swivel mechanism which make it perfect for use in a home kitchen or breakfast bar. A sturdy circular base keeps the Duo stable and has a rubber ring beneath to protect your floor from any scratches. "Very comfortable and very well made"
Really happy with my stools. They matched in well with the design of my open plan kitchen / diner and were a bit different to the standard range of stools I saw in the shops. Very pleased - Good value for quality. 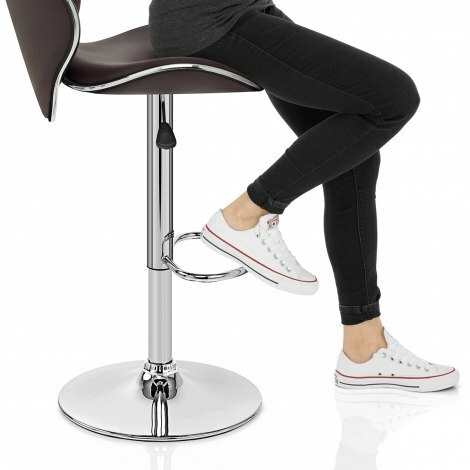 Our previous stools (also from Atlantic shopping) stood up to 6 years of heavy use in our kitchen and we were pleased to find a good choice on the website when we finally decided that they had to be replaced...these are very comfortable and great looking bar stools, delivery was really quick and we're delighted with them! I originally purchased a bar stool through a rival company which was more expensive. The quality was very disappointing so I was amazed when I opened the box. Very easy instructions and the stool was assembled in a very short amount of time. Very comfortable and very well made. The delivery was exactly as promised. I would highly recommend.